Welcome to the Bureau of Clinical Laboratories (BCL), part of the Alabama Department of Public Health. We are located on the campus of Auburn Montgomery, approximately 10 miles east of downtown Montgomery. Our facility houses nine divisions and about 110 employees. 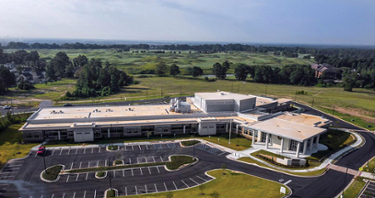 The Bureau also includes a regional laboratory located in Mobile. The lab receives approximately one million specimens per year and performs more than two million laboratory tests in support of our 67 county health departments around the state, as well as private citizens and private health care providers. Vision: To lead the state, through both laboratory science and service, in improving and protecting the public's health from current and future diseases and disasters. Mission: The mission of the BCL is to give laboratory support for public health programs and policy decisions that protect and promote the health of the citizens of Alabama. Beginning January 1, 2014, the Bureau of Clinical Laboratories (BCL) is requiring that healthcare providers who do not use the BCL's Webportal provide patient demographics and insurance information for all specimens, except newborn screening, submitted to the Lab for testing. A Requisition Form For Laboratory Testing (Non-NBS) must be submitted with each specimen. For vaccine-preventable diseases (VPD) specimen, you may need to complete the Wisconsin State Laboratory of Hygiene Lab Form or CDC Specimen Submission Form (2.5 MB). If a healthcare provider suspects a patient to have chikungunya with recent travel history, please see the Bureau of Communicable Disease Homepage. Requires the completion of the Patient Request for Release of Completed Laboratory Results. Video: What is a public health laboratory? For more information about BCL, visit About Us.